One does not ‘buy’ a Rolls Royce. One ‘commissions’ a Rolls Royce. In this case, RR themselves commissioned Emirati artist Mohammed Kazem to do something truly special with a Rolls Royce Wraith. It’s safe to say he succeeded. 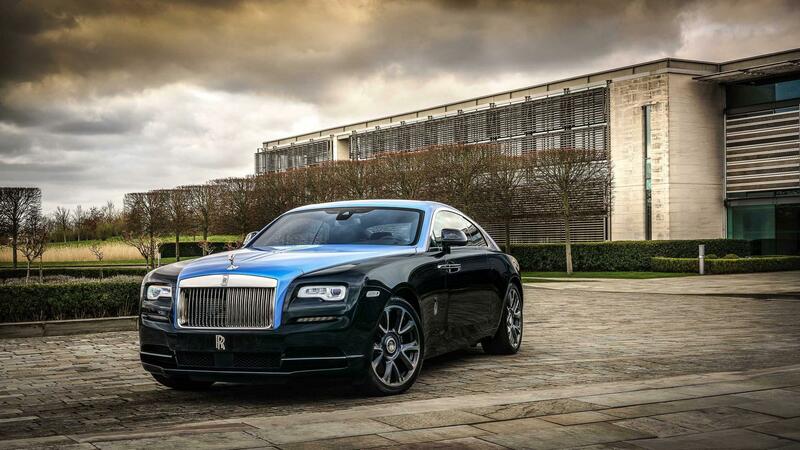 It’s a fairly normal Wraith from the outside even with the two tone exterior. However, there a now fewer than 863 ‘stars’ on the inside of this Rolls Royce Wraith. It took over 90 hours and 60 thousand stitches to marry the 863 fibre-optic cables to the headliner. The result is truly spectacular design that – In true Rolls Royce fashion – actually has a story behind it too. The stars are actually the geographic coordinates of all the people involved in the process. A very nice touch. This Wraith also has the same coordinates in the backlit clock as well as a plaque bearing yet more coordinates. This time however, they show the way to the RR Goodwood factory. It’s going to be displayed in Abu Dhabi alongside other pieces from Mohammed Kazem. That will probably be the first and last time however, as the car has already been sold to a Middle-Eastern customer. This entry was posted in Luxury, News and tagged Rolls Royce. Is Formula 1 Coming To London? Does The Dinan M2 Make The M4 Obsolete?